A course of a thousand miles begins with a single step. Interestingly, this character of "course / road / way", "道” is also used to express many forms of traditional art in Japan like Sado (Japanese Tea Ceremony), Shodo (Japanese calligraphy) and Judo (a Japanese form of martial arts). It means "A way to become master of the area (tea, calligraphy, judo etc) both technically and spiritually". 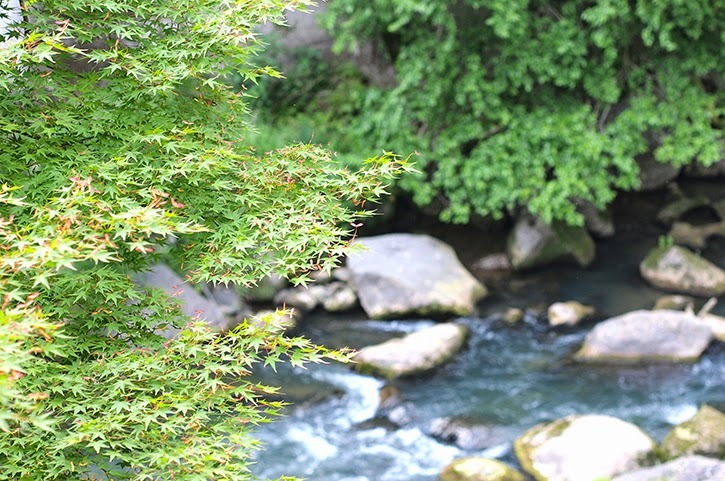 Another one of these Japanese arts is Kado or more commonly known as Ikebana (Japanese Flower arrangement), which I would like to share my story with you today: My very first step of a thousand miles in pursuing Japanese flower arrangement. I have been practicing flower arrangement over years - to be specific, western style arrangement. I always appreciate fresh flowers and greens in season in the form of bouquets, wreaths, all kinds of arrangements, or simply style them in a humble jar, glass, or whatever comes handy to treasure them at home. Sometimes sharing them as a gift for occasions with a special someone makes me happy. 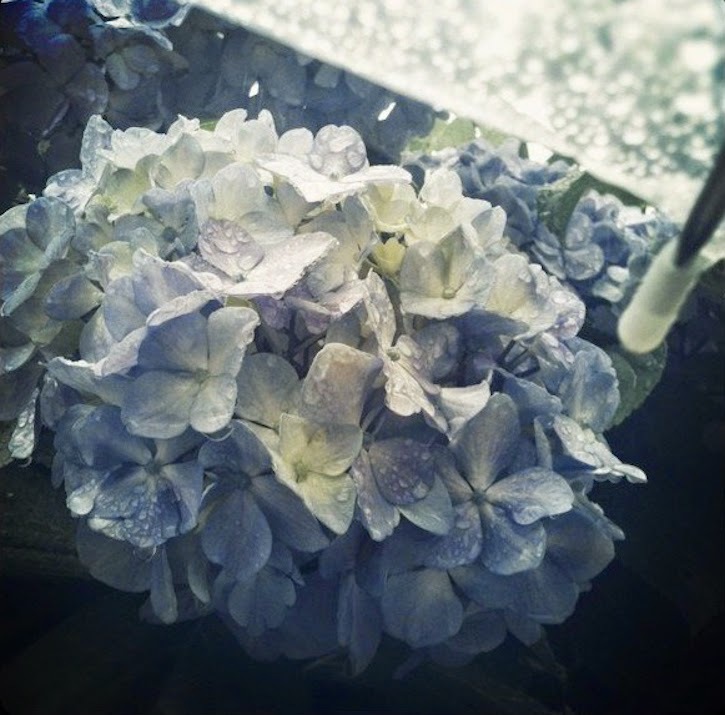 Especially living in Japan, we are spoiled with 4 distinctively different seasonalities during the year. I celebrate New Year's with red Nandina, Cherry blossoms in Spring and Roses in early Summer... fresh flower pieces always bring a breath of nature into the home and sense of time passing by in our everyday life, reminding me that nothing stays the same and everything is in change - so be present in the beautiful moment here and now. Soaking myself into the world of flowers, my passion grew deeper over time. Also, my experience of living together with my mother-in-law for a few years who embraces her Ikebana practice in spirit and in her everyday living inspired me. 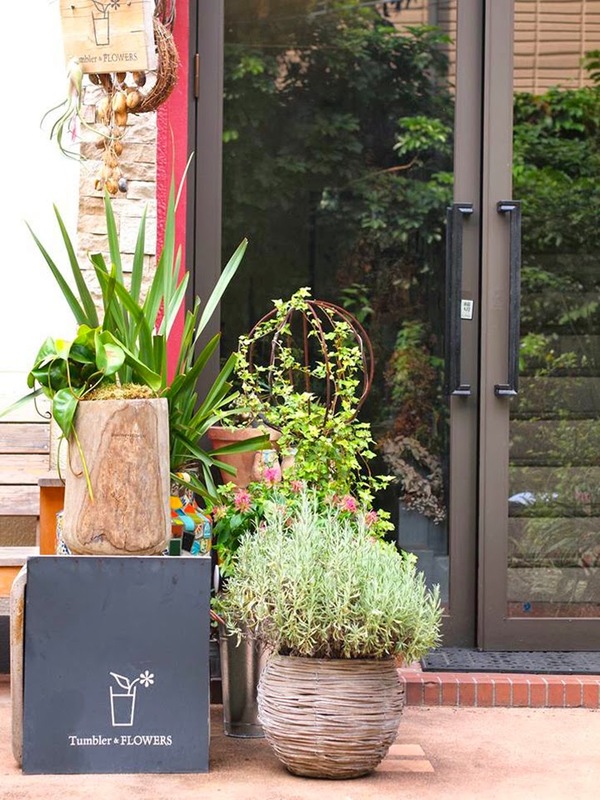 She is very traditionally Japanese and would always have a welcoming Ikebana flower piece at the entrance, reflecting the essence of the outside air either as a climate or spirit of a Japanese holiday. 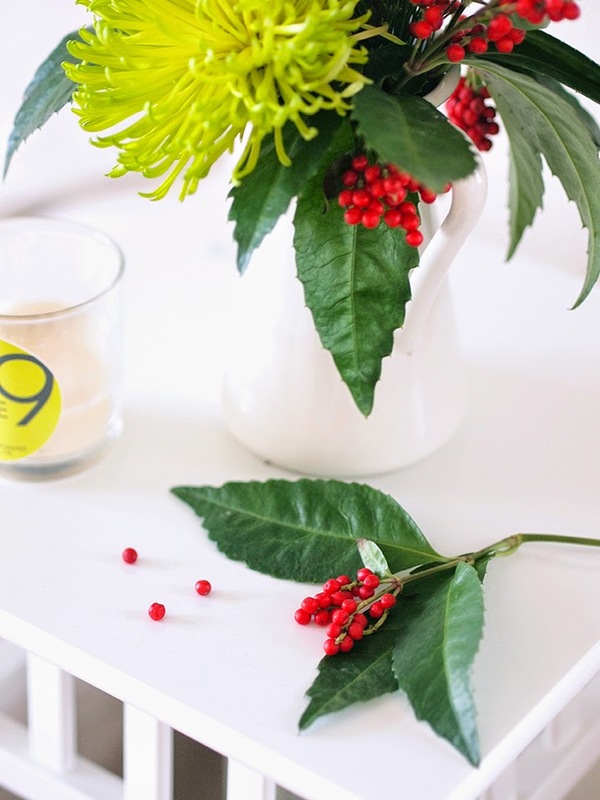 A simple gesture for welcoming certain guests is also expressed in Ikebana work. Just one piece of a tiny bud from the garden can be designed in a way to create art that is to be placed on a dining table in minimalistic Ikebana form. 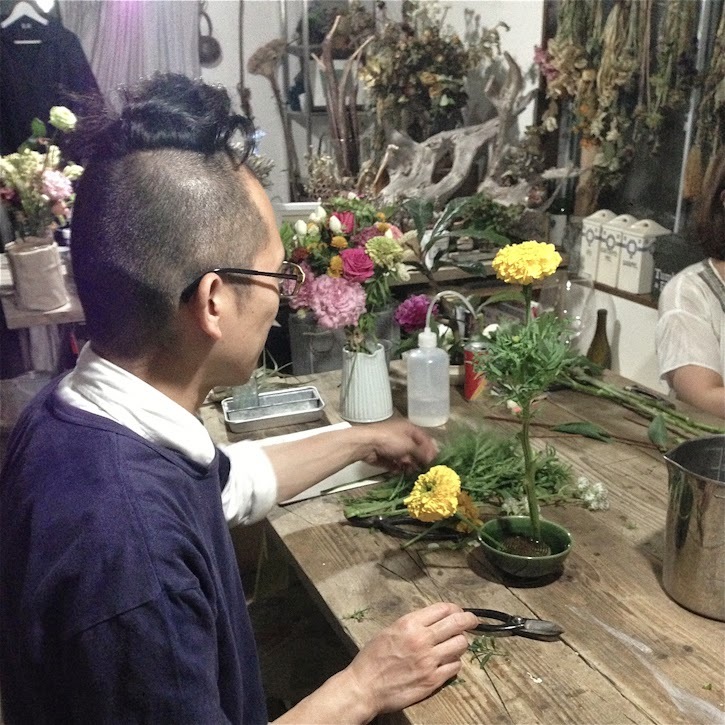 I always wanted to take a class from this mastery Ikebana teacher in Harajuku, Toru Watarai from Tumbler & FLOWERS. Unlike classes and teachers that are strictly loyal to traditional & historical ways of Ikebana practice (which sometimes feels little bit outdated), he uniquely combines traditional Ikebana forms and floral materials to suit today's lifestyle, while sustaining the very core of its values and spirits. He introduced to me a whole new approach to flower arrangement compared to what I had known. It was almost completely opposite to the western style that I thought I had become pretty comfortable with. It was purely an eye opening experience... Or rather, jaw dropping! There were the technical aspect of styles of the work itself of course, but most significantly the thoughts behind and interpretation of beauty and balance that took shape in certain way of art - spirit and values that had been passed over hundreds of years distilled into laws, procedures, and forms in creating Ikebana art. Here are some inspiration from my class I would love to share with you. First of all, for the size of the work about 50cm high x 10cm width, guess how many flowers will be used to compose a piece? In western style for reference I would say about 20 - 30 floral / green materials at minimum. So I was shocked, also lost to first find out I only had 5 pieces of flowers to complete the work of this dimension! Styling a space of that scale with ONLY FIVE... how?? My teacher carried on. As a starter, learning how to use each of the 5 pieces, I was taught to start with 2 flowers. One hero flower to define the hight plus another for the depth as a frame. Use remaining 3 to complete the work. I was little bit relieved I could use trimmed leaves too. In doing so I was naturally exposed to a fundamental difference with western flower arrangement - you do not fill space, but create space. That is with 5 points of focus and using relationships created by each other in the design. Usually western arrangement or bouquet becomes more gorgeous correlating with the number of flowers used, but in Ikebana this approach doesn't work. 5 flowers - that's it. The rest of the "ingredients" are the space created around, the rhythm, and interactions of what's present etc. that make up the design. Something there but not necessary visible. It came to mind the contrast of western and Japanese beauty comparing the garden of Versaille Palace of Paris and Zen Stone Garden of Kyoto. 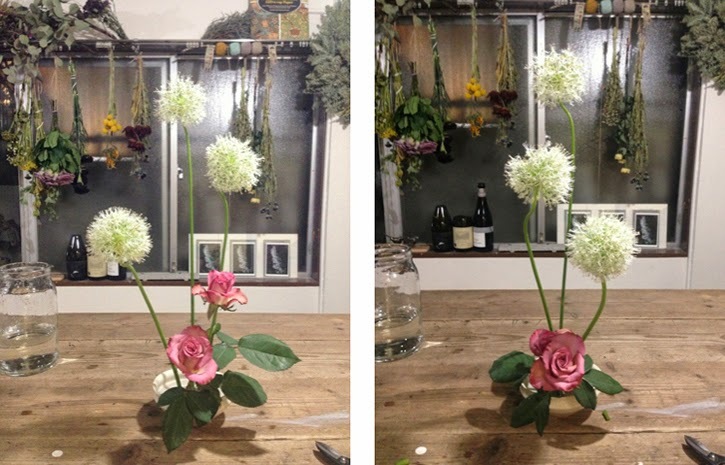 It is as if similar kind of difference is being applied to 2 different ways of styling flowers, uniquely distinguished approaches of beauty and maybe at nature. 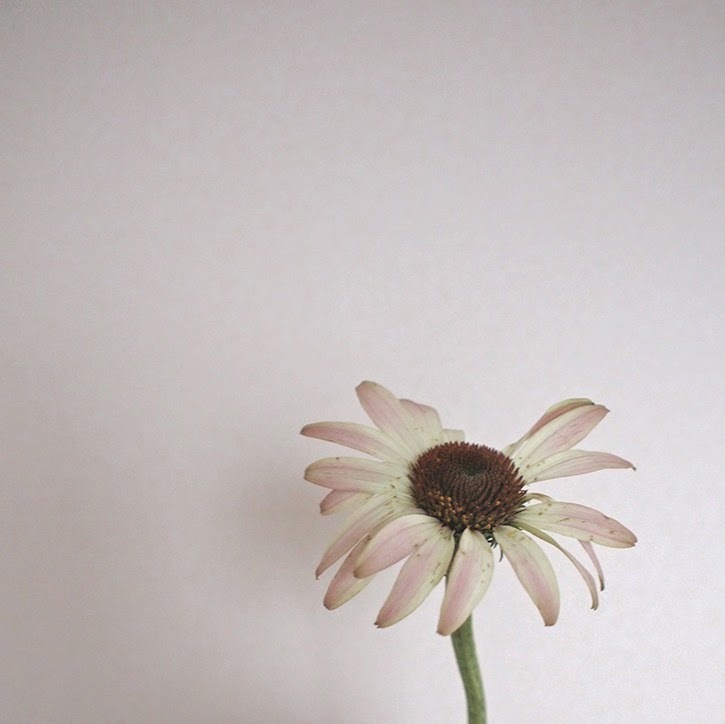 Witnessing wabi-sabi aesthetic alive and present in Japanese art of flowers grasped my interest. And here is my teacher :) In the class, after students put together their own piece, he comes around, critiques, and shows us his take which is shockingly different from the original one we struggled to make (before & after images to come in the last part)... So here is him fixing my composition. For this basic shape, there is a law that defines the hight (of the flower that stands perpendicular) and length & angle of the depth (for the flower bending forward) defining radius of the work which has a certain proportion to the size of the vase. So the design is defined by the size and shape of the vase you are using and not by your taste - it takes math and formula. These first two hero flowers function as the frame of the work and for placing the remaining 3 pieces - you're left to arrange as you wish. When I first tried to apply the law myself, I asked if we absolutely had to follow the math in any circumstances and if there was any flexibility allowed. He answered, "You can try, but it's not going to be easy because the defined length & angle of balance is one form of beauty that was derived from thousands and millions of tries and errors over 500 years of history by the Ikebana people who practiced before you. Over time it is being passed down in the form of a formula which is, ultimately, the boiled down aesthetic from Ikebana perspective we are lucky to use." He suggested to try first using the law until it sank down in me, and I would know what to keep and where to improvise. I thought that was very inspiring way of looking at laws and formulas, the very best practices passed down from hundreds of years in a nutshell from like-minded and masters of our ancestors traveled through time. Among all discoveries in Ikebana, what hit me the most, is the procedure to go through in front of the vase and 5 pieces of flowers when you start composing the work. "Three important steps", he told me. First, is OBSERVATION. Closely observe each piece of flower. Take one in your hand. Where do you like the best about it? The stem, the petals missing, or certain colors in certain place...? Find where you find most appealing and see what angle would make that point look most attractive. Slightest details matter. 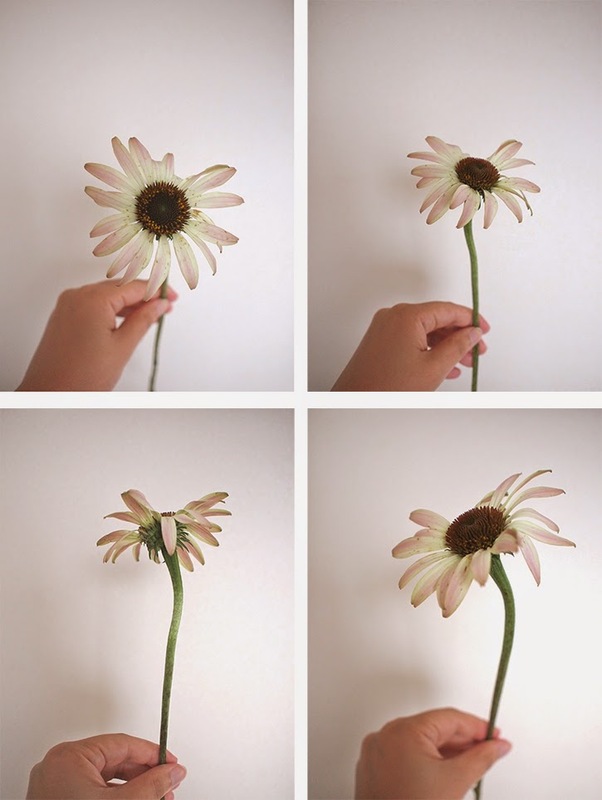 A flower in these four images are one same flower but seen from different angles... Do I like it dead front, little tilted upward, or short needles in the back of the face, or maybe not the flower itself but the curve of the neck? And why? Carefully take a close look, pay really close attention, examine, have an intention where to feature. After you find where to focus, now use IMAGINATION. Imagine the environment where that flower in my hand had been growing, and try seeing how it was living when it had its roots on the ground. Was it in the mountain, by the river? Or on the sand, which way was the sunlight coming from? At which direction and angle was it facing when alive? There are many hints in the flower, the direction of the stem growing, the color, texture of various parts where leaves and buds are, if I really listen and carefully, see. 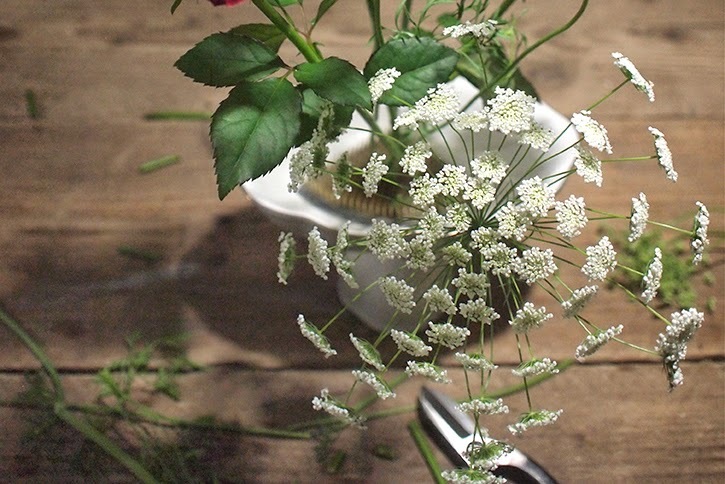 With these two points in mind, cut, then place the flower in a way that looks most attractive from your eyes, and natural to its organic environment, lively to kenzan. It was a process of reflecting myself and what my focuses were. What I see and don't see. What part speaks to me the most, why, how can I make best out of this life away from its home...and make CONSCIOUS DECISION to make one stroke down to kenzan extracting the best out of its life. It is one of the most focused and meditating process I found. It focuses eyes to closely observe each and little detail, be in the moment which otherwise I would pass by. Nurture the vision to see what's not visible but that breathes beneath. Imagination to create interaction and relationships among these pieces of flowers as if I'm creating my world. And how subtle differences impact overall harmony... Hard to believe it took full one hour to go through this process to complete one piece of work, using just 5 pieces of flowers. And here is how two different approaches looked with exact same materials + vase used - between my very first newbie try (on the left) and my teacher's (on the right). Do you see how obviously they differ...? Although it is hard to capture the whole picture since the actual pieces are three dimensional, but it's there. One is so much lively than the other while also accomplishing to present character of each piece, so balanced out. The other...I stop describing. Also it took me 1hr to do this and less than 10 min for my teacher! It's really harder than it looks. I gave my second shot after seeing my teacher's arrangement but I couldn't replicate it at all! These are only a few of ever awakening moments of my learnings in starting the journey of Ikebana. Whole experience was just so new from flower arrangement approach I had familiarized myself with over the years, especially, I was swept away by perception of nature and angles of the way in creating beauty - very zen, giving respect to each life of its form. For western flower arrangement, it feels like we use flowers as pieces of materials to create intended design of geometric shapes by human, i.e. round bouquet, triangular table arrangement, circle wreaths in circle etc. Whereas in Ikebana, it's important to make them look as they exist in nature. You start from one piece of flower, find most distinctive, beautiful, or your one most favorite part in it, and present them in an angle, spot, length etc that best shows that unique form of life. And next one with the same procedure but adding the perspective how it best interacts with other individuals in the space who are also proud of their one and best charm of their own...that no same piece exists as long as they are living creatures. Same speaks for the relationships created among each other and ultimately all put together results into one harmony of sole existence. Doesn't it sound like we are talking about nature including us humans, and our relationships beyond discussing flowers? It was only my very first step down the road of Ikebana and already, I'm finding so many inspiring realizations that is making me look at the world in fresh angles. Philosophies still present that synch with unique Japanese way of looking at nature as well as appreciating ever changing lives as nothing is eternal, made into practice of flower art is truly mesmerizing to me. PS. 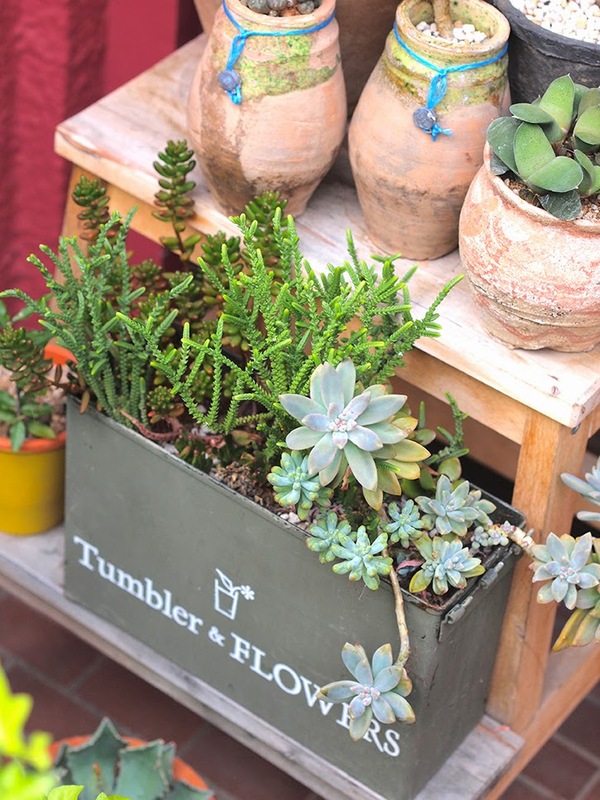 Classes at Tumbler & FLOWERS are open for trial / one-off lessons with my teacher anytime. If you are interested I would love to recommend this amazing experience when you have a chance to visit Tokyo!